The Dell PowerVault NX400 NAS is an entry-level file-sharing system designed to improve reliability and performance with the latest version of Microsoft Windows Storage Server. Built on Dell PowerEdge 12th Generation server technology, the Dell NX400 removes the hassle of building a file server by scratch. The NX400 storage array is optimized for storing, sharing, and protecting files right out of the box. With up to 16TB raw storage across 4 total drives, the PowerVault NX400 storage system can accommodate your growing data. Windows Server 2012 R2 can improve performance with multichannel failover, and is designed to increase reliability of application-specific capabilities for Microsoft Hyper-V and SQL Server. 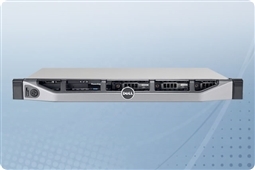 Maintain your productivity and support your growing storage demands with the Dell PowerVault NX400 network-attached storage system today! Curious if the Dell PowerVault NX400 NAS (Network Attached Storage) array is right for your business continuity and budget? Check out our Survival Guide: Avoiding A Data Apocalypse today! 12TB (4 x 3TB) 7.2K 6Gb/s SATA 3.5"
4TB (4 x 1TB) 7.2K 6Gb/s SAS 3.5"
12TB (4 x 3TB) 7.2K 6Gb/s NL SAS 3.5"